The HUF brand we all know and love in its current state actually started way back in 2002 with a single boutique at the time that has now blossomed into one of the worlds biggest and most influential brands in the skate world today. We had the chance to get our hands on one of their newest creations, what they call the "Galaxy". 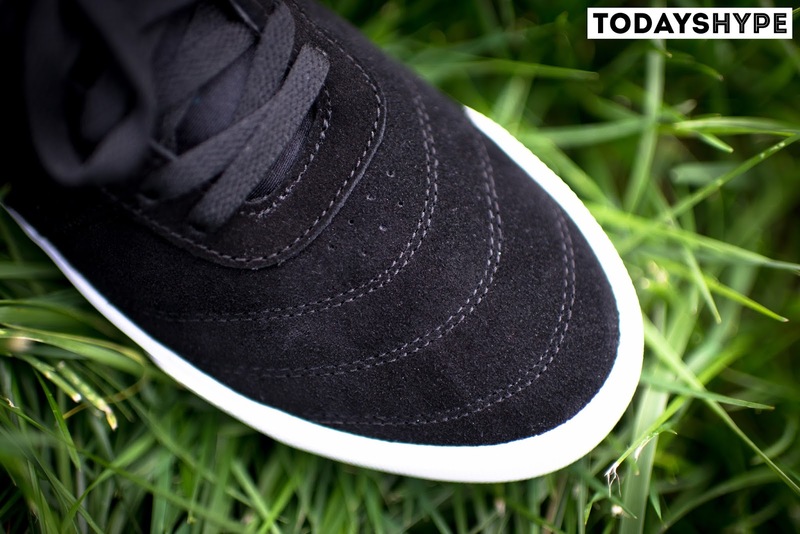 The shoe itself is a simple and straight to the point low top skate shoe that definitely has some nice tricks up it's sleeve that you might overlook at first glance. 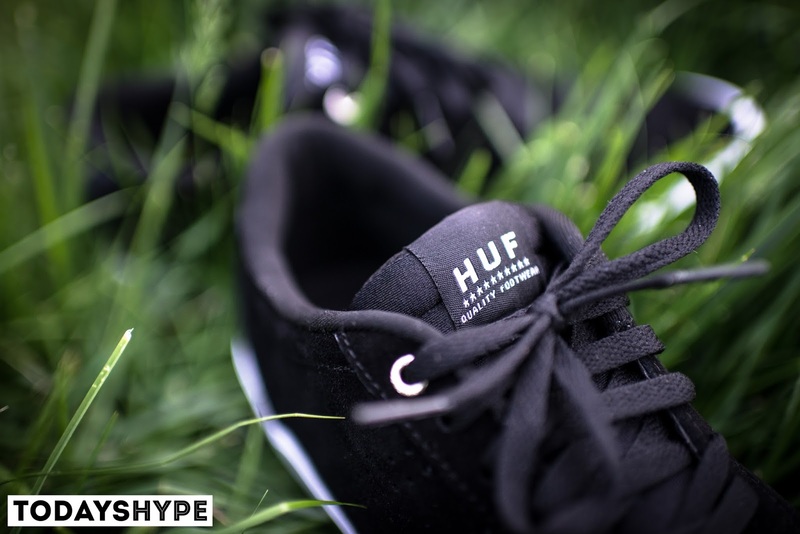 The shoe is covered with a very buttery and premium feel suede which is always something we look for and have to give praise to with as many low grade materials being used on some of the "bigger" and iconic shoe makers out there... so big thumbs up to HUF on this specific shoe they really give you a lot for your money. The toe of the shoe also sports that premium suede but throws a curve ball your way with the curved stitching that gives this subtle and low key design just the amount of pop and detail to set it apart from the crowd. These extra stitches also help beef up the durability of the shoe in the toe area as well which is an all too important impact point in a skate shoe like this. The classic and iconic HUF logo is embossed at the heel of the shoe with some very small branding on the tongue and on the insole as well. The dotted "H" graphic on the heart of the shoe really is the only branding that pop's out at you and we can't complain there. When it comes to skate shoes like this we prefer a simple and straight to the point silhouette that doesn't depend on in your face gimmicks, graphics and fluff to take your mind off what the shoe is meant for. The rear of the shoe is really the only area you see and alternate patterns or graphics on this specific colorway with a unique looking leopard like pattern on the heel of the shoe which works well with this dark colorway. The Galaxy sports a padded and breathable mesh tongue which we do have to say is one of the most comfortable parts of this shoe. At first glance the tongue may not look too beefy as some of the other competitors models but once you slip your foot into the Galaxy you are greeted with some cushiony goodness that keeps you comfortable and protected from the board your kicking around. 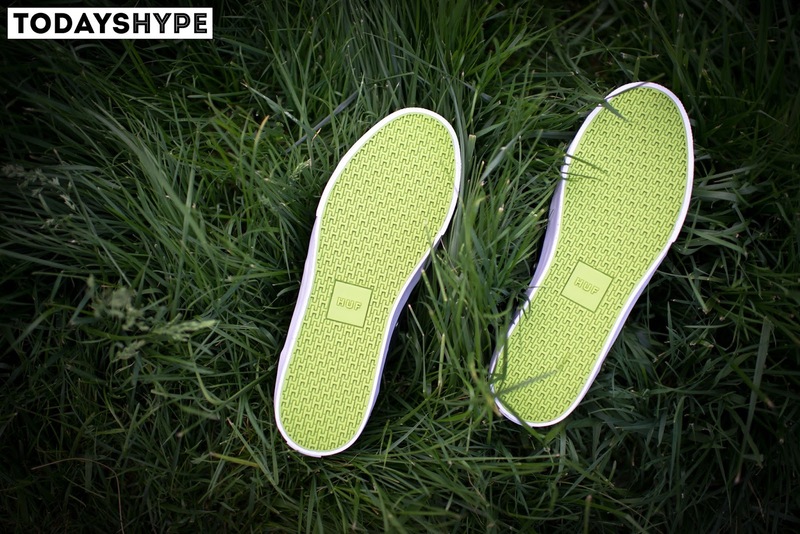 Finally the bottom sole of the Galaxy features a simple all over "H" print with this Black/White model using the classic HUF neon green to get the job done. 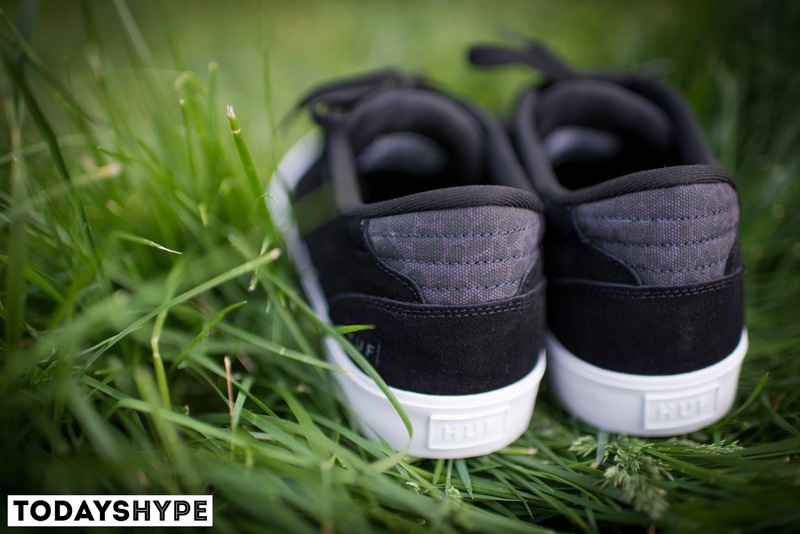 Grip on the shoe is everything you would hope it do be as well so no issues whatsoever with loss of feel or slippage. 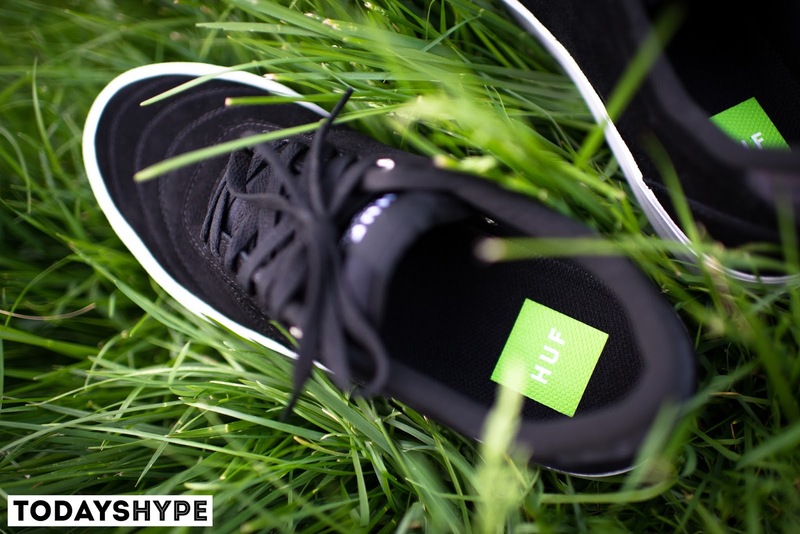 So after all is said and done we really have to give it up to HUF on this release. The Galaxy is right up there with the best of them as a serious contender for something you should consider as your everyday core skate shoe that is not only strong enough to keep you pushing months from now but also super comfortable with cushioning coming at you from all angles. The HUF Galaxy is available now directly from the HUF Online Store here for $70 in a variety of colors.